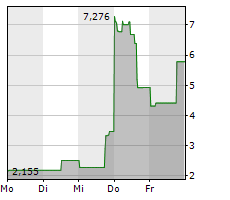 Aktien»Nachrichten»INVITAE AKTIE»InVitae Corp: This Biotech Stock Just Surged 120%, More to Come? Today's chart highlights a company in one of the fastest-growing biotech industries, genetic testing. Also known as "DNA testing," genetic testing helps make genetic diagnosis of a person's vulnerabilities to inherited diseases. There are more than 1,000 genetic tests currently in use and more are being developed. The market for genetic testing has grown tremendously in recent years, and the momentum will likely continue. According to Energias Market Research, the global genetic testing market is projected to reach $19.1 billion in 2024, which would translate to a compound annual growth rate (CAGR) of 12.2%. (Source:. 21.03. InVitae Corp: This Biotech Stock Just Surged 120%, More to Come?